We are delighted that you are interested in our apartments Valentin for your holiday in the Dolomites. Gröden and its holiday areas are an outstanding holiday destination, the whole year round: With hiking and mountain biking, downhill and cross-country skiing, the UNESCO World Heritage Dolomites turn your holiday stay into a true outdoor experience. Spectacular mountain peaks, sunny lookout points and a mesmerising natural stage-setting accompany you throughout your hiking and skiing holiday in the Dolomites. 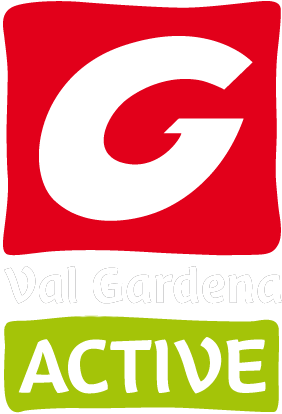 The Valantin Apartments in Selva-Gardena offer you the perfect accommodation for your summer or winter holiday with family or friends. The generously-sized Saslong and Sella holiday apartments are situated in a quiet, sunny location on the outskirts of the village and sleep 6 – 10 people; both have a roomy living area furnished in traditional Alpine style, a modern kitchen and fresh new bedrooms with en-suite bathrooms, so that every member of the family or group has their own private space and can enjoy all the advantages of a holiday apartment in Val Gardena to the full. Alongside our bread-service, one of the other free-of-charge services we offer our guests is a ski-room with shoe-driers. This area can also be used to park your mountain bike in summer. Does the prospect of looking out over the Dolomites from a sun lounger appeal? The sunbathing meadow in front of the hotel is a great place to gaze upon the peaks – and to enjoy sociable barbecue evenings with family and friends. Want to check your emails or plan your next hiking tour? We offer free Wi-Fi in both holiday apartments. Your breakfast will taste even better with some crispy fresh bread from the village baker. Our guests get fresh bread delivered to the door every morning.